The history of Albox can be traced back to the Phoenicians, a civilisation who were a maritime trading culture that spread across the Mediterranean between 155 BCE and 300 BCE. evidence of this ancient culture can be found all along the Almanzora Valley including ceramics coins and stone axes from the Greek and Roman times. Present day Albox is a thriving market town which is undergoing a transformation with new Plazas, shopping areas and has good access to the new motorway. There are many fine restaurants and tapas bars and all the usual amenities that you would expect from an affluent town. As with the rest of the region the locals are helpful and friendly and with its spectacular scenery and great climate it’s a perfect place to retire or raise a family. On the 7th of September every year, a famous pilgrimage takes place in Albox.Most people leave from the main square at midnight and make their way by foot, the entire 18 kilometres to the picturesque Saliente Church located in the hills above Albox.On arrival they pay homage to the sacred image kept in the Church that is affectionately known as ‘La Pequeñica’ the patron saint of Albox. This Romeria is well known throughout Spain and attracts many visitor from near and afar. The pilgrimage is made to commemorate a Marian Apparition that is said to have occurred towards the end of the 17th century. Nowadays there is more of a party atmosphere as many young people take part. This festival dates back many years and was one of the most important agricultural events held in Spain. It is celebrated both before and after the 1st of November (All Saints Day). Over the years and with the modernisation of Spain's rural regions, the All Saints Day festival has taken on a more fiesta feel and the agricultural theme that it was originally known for has somewhat diminished although the sale of horses continues on a dedicated day.. 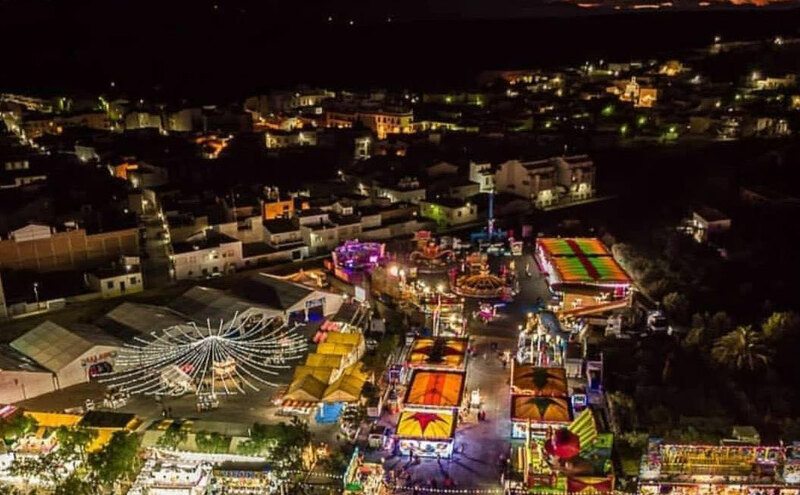 Despite that it is still rated as one of the more important fairs to be held in the province of Almeria with many thousands of people flooding to Albox to participate. One of its most well known events is the Feria de Mediodia, when a gigantic paella is cooked and served free to all those that attend.